The Live Help Windows Store App is designed specifically for Windows tablets and Windows RT devices (we recommend Surface RT or Surface Pro). The app allows to you chat with your customers while away from your Windows desktop PC. From the start screen you are also able to quickly glance at a live tile to see how many chats are currently occurring and how many people are browsing your site (Live tile requires Live Help Server Software v4.0 Rev. 9). Quickly multi-task when chatting to visitors by using the snapped view. When the Live Help app is snapped you are able to easily browse a web site, use another app such as a screen sharing app while still chatting to the customer. Never miss a chat when you have another app open or if you are running a desktop app. 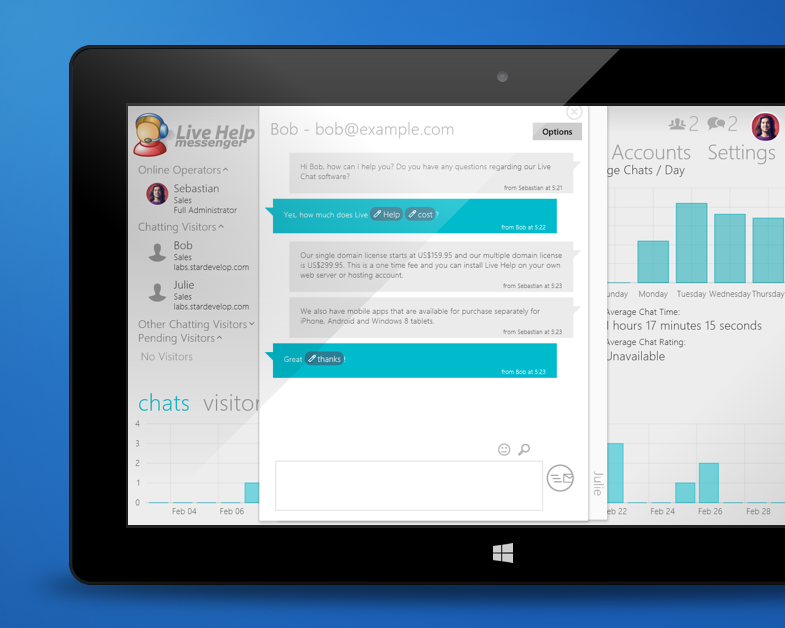 The Live Help Windows store app also plays sound alerts for chat requests and new messages. 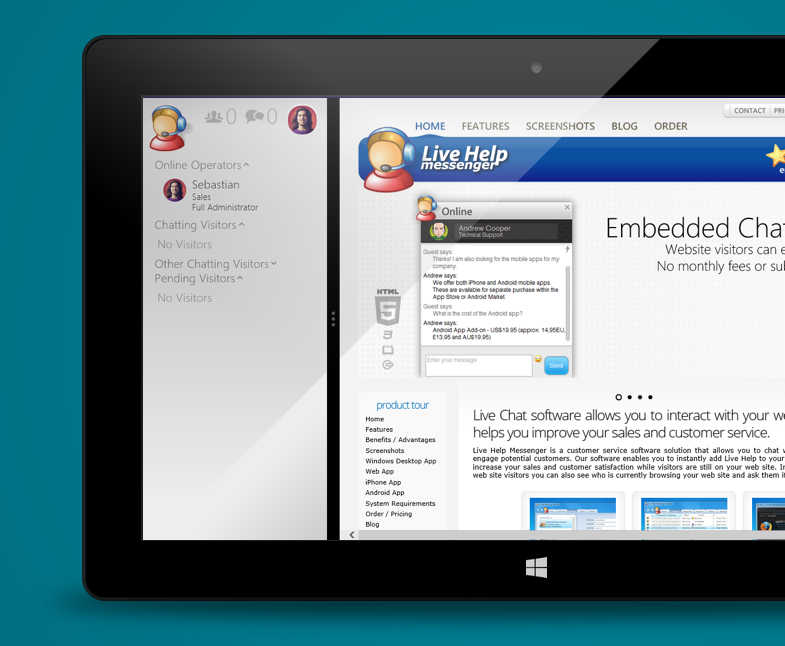 Easily update the Live Help server settings from the Live Help Windows Store app. You can quickly customise the Appearance, Images, Alerts, Initiate Chat, Privacy, Email and General settings right from your Windows tablet device. The Live Help Windows Store App is available for purchase within the Windows Store. The app supports both Windows RT and Windows 8 devices such as the Surface RT and Surface Pro. 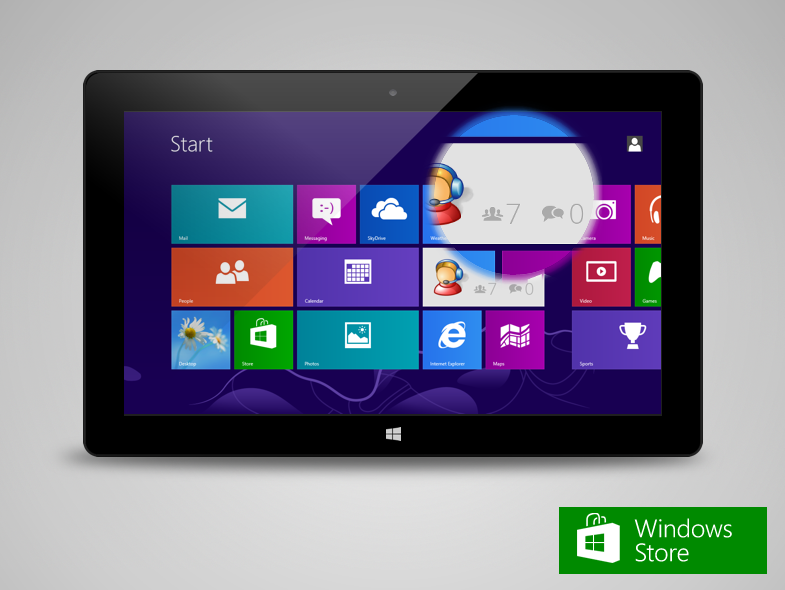 The Live Help Windows Store app is available separately for purchase from US$19.95 (approx. 14,95€, £13.95 and AU$19.95). Updates to the app are delivered for free through the Windows store. The Live Help Windows Store app is designed for use on Windows touch devices and is optimized for a touch experience when you are away from your regular desktop PC. 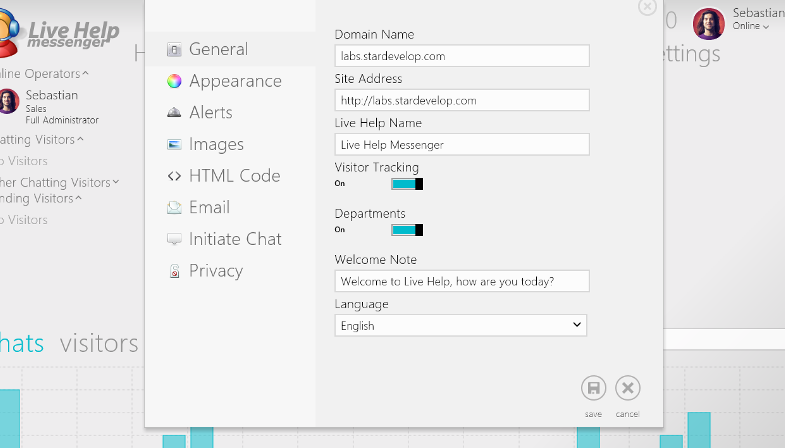 The Live Help Desktop App is available for free and is recommended for use on your desktop PC.